Welcome to the sign-ups for the third annual Spooktacular Paranormal Reading Challenge! I can't believe this is the third year, you guys. The first year was a huge success, and last year was decent, but I'm hoping to get a turn-out like we did in 2011 because I was blown away by the number of people who participated. This year I'm going to make the rules a bit simpler, so hopefully more people will want to participate. Read and review at least one (1) paranormal** book. Reviews must be posted for the first time between October 1st and 31st, 2013. Something else that's different this year: since the sign-ups go up September 1st, you can start reading any time you want, as long as the reviews you submit are posted after October 1st. So go ahead and get a head start! This means the challenge technically runs for 2 months, but only reviews posted between October 1st and 31st will count toward the challenge giveaway. You don’t have to have a blog to participate, as long as you can post your reviews somewhere (GoodReads, Amazon, etc) and link to them. For every paranormal book you read, review, and link up in the month of October, you’ll be entered in a giveaway to win the paranormal book of your choice up to $15 USD (or if you can find two books that come to $15 or less, that's fine too!). To be eligible for the giveaway, you must review at least one book during October. Each review is an entry in the giveaway, so the more you read, the more chances you have to win. The link-up in this post is just for sign ups. I’ll be posting a separate link-up for reviews on the 1st of October. Ebooks and audiobooks count. Adult and young adult books count. If this challenge crosses over into other challenges you're doing, that’s fine with me. **PARANORMAL: Same as the last two years, I’m using a very loose interpretation of ‘paranormal’. It can be paranormal, fantasy, urban fantasy - basically any ‘creature’ or ‘otherworldly’ book counts - vampires, werewolves, faeries, shape shifters, zombies, angels, demons, mermaids, dragons, witches/wizards/sorcerers, trolls, sirens, banshees, etc. Grab the button and place it on your blog. This way, not only will people know you’re participating in the challenge, but they can come back to my blog and find out how to join in on the fun! Optional, but recommended: create a post or a page on your blog with the challenge graphic to help spread the word, and keep track of your progress once the challenge starts. If you decide to do that, make sure to either post a link back here, or have the linked graphic on your post so that. You don't need to decide beforehand what books you're reading. On October 1st, I'll start a new post with a new link-up where you can add links to your reviews. Don’t forget to add your reviews to be included in the giveaway! 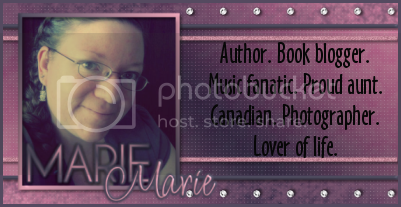 To sign up, leave your name and blog URL in the linky below (for example, Marie @ Ramblings of a Daydreamer). The giveaway at the end is open internationally as long as Book Depository ships to your country. If you're on Twitter, you can connect with other participants, share updates, etc, using the hashtag #SPRC. The Mortal Instruments books would count? I am so happy to find this post. This is my favorite genre. THANK YOU! :) I'm looking forward to participating in this challenge. thank you a lot for doing this once again!